Dutchman Frans Timmermans is about to put his name forward as a lead candidate to replace Jean-Claude Juncker as commission president after winning the backing of socialist parties across the continent, website Politico.eu said on Wednesday. Timmermans, the Netherlands’ European commissioner and vice president of the EU, has won the key support of German Social Democratic party leader Andrea Nahles, Politico said. ‘I am convinced that Frans Timmermans unifies and strengthens our European party family and will lead us to a strong common result in the election for the European Parliament next year,’ Nahles wrote in the letter, which Politico has seen. 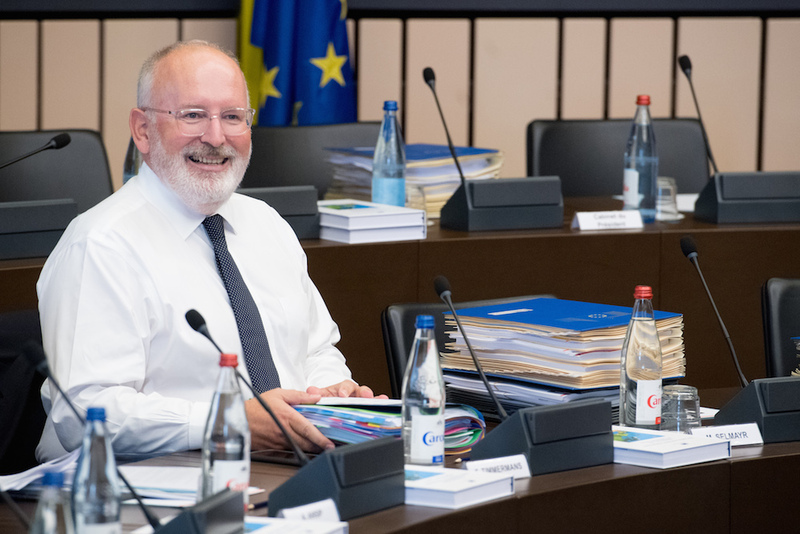 Timmermans, who joined the commission in 2014 and was previously foreign affairs minister in the Netherlands, has been mentioned as the possible PES candidate for several weeks. To be nominated, the candidate must have the backing of their national party and eight other PES member parties. This means Timmermans would have to take the lead role in the PvdA’s campaign for next May’s European elections. The process of electing a new commission president is a complicated one. European leaders technically propose a candidate for the top job, taking the results of the European elections into account. This means each party in parliament can put forward its own candidate, and the candidate of the European grouping that gets the most votes will be put forward for confirmation by national leaders. The party’s lead candidate will be officially named at the PES congress in December in Lisbon, Politico said. Timmermans, who has been in Brussels for four years, was the most trusted minister in the last cabinet he was a member of. He speaks at least four other languages fluently and garnered praise from around the globe for his emotional speech to the United Nations about the MH17 disaster.